It is really Mediterranean wine. Color is dark red with violet nuances. Smell of the black cherry and blackberry .In the mouth full and extraction, black cherry, fig and little chocolate.Well balanced. Long, velvet finish. This vintage (2011) was especially praised as the best in the last decade, but we tried it and the next 2012 is also a very good wine. 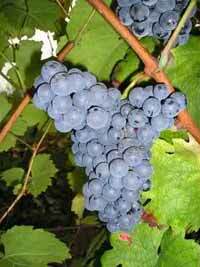 Since 1991, an expert group of Milan weekly ‘Il mondo’ classified ‘Vranac’ wine among 100 top red wines of Europe. 2014 in Germany MUNDUS VINI it took silver and in London International wines and spirits took silver too. Some people say I’m biased since this is a wine from my homeland, 🙂 but believe me deserves to be tried. *****Words “Pro Corde”, it is Latin and means “good for healthy heart” .This wine is produced in special way and it consist of increased contents of proanthocyanidols. (Proanthocyanidins are the antioxidant that may be linked to reduced risk of coronary heart disease and it consist of grape seed) But is not medicine wine , it is wine for hedonists. Remark : 30% of this wine whic was 2 years in french oak barrels is added to wine which was 2 years in steel thanks. 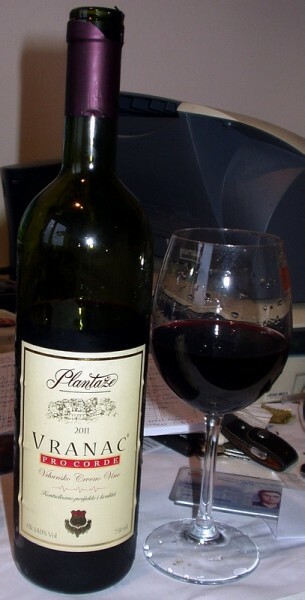 VRANAC or Vranec (it means Black horse) is autochtonous grape variety from Balcan (Montenegro,Macedonia.Bulgaria and south Serbia).